Improved device compatibility and bug fixes. Huge dictionary of over 50,000 words. Free version of the classic Hangman game from Word Games Volume 1. Supports over 50,000 words, GameCircle, difficulty settings, and beautiful HD graphics. Landscape and portrait modes supported on tablets. 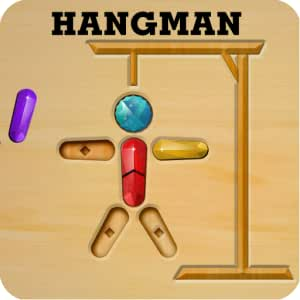 If you're a fan of sudoku, mahjong, solitaire, or other class puzzle games, Hangman is for you. Grandchildren love the game and is educational! Loved it as a kid, enjoy it now as an adult. 4.0 out of 5 starsNot challenging enough but overall good game. great game. I could play for hours. Can't get it to load. A game that's fun to do without too much concentration. Good for having to wait somewhere and pass the time.